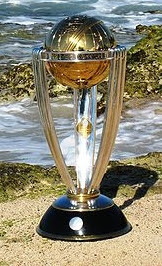 Home / Cricket World Cup 2011 / Cricket World Cup Winner / ICC / Pakistan Cricket Team / PCB / Will Pakistan Win Cricket World Cup 2011? Will Pakistan Win Cricket World Cup 2011? Fever of Cricket World Cup is everywhere in Pakistan and all other cricket loving nations around the world. 14 qualified cricket teams will compete to win this 10th One Day Cricket World Cup. There are 10 Full Member Teams (Pakistan, Australia, India, England, New Zealand, Bangladesh, Sri Lanka, South Africa, Zimbabwe, West Indies) while 04 Associate Member Teams (Canada, Ireland, Kenya, Netherlands). The Opening Ceremony has been held in Dhaka, Bangladesh today on 17 February, 2011 while first match of the World Cup will be played between India and Bangladesh on 19 February. Pakistan has won a warm up match from Bangladesh by 89 runs while Pakistan will play its 2nd warm up match against England on 18 February. Pakistan Cricket Team will play its first match for Cricket World Cup 2011 on 23 February against Kenya. Quarter Finals and Semi Finals will be played at the end of March while Final will be played on 2 April, 2011 at Wankhede Stadium Mumbai, India. I am also a Cricket Lover and my prayers and all the best wishes are with Pakistani Cricket Team but let me admit that I am not a good cricket analyst so could not predict the proficiency of any team in the grounds. So, I would request to the honorable readers of my blog to share their analysis and comments with us. Will Pakistan Win Cricket world Cup?, If not then what will be its Position? Who is Your Favorite Cricket Player in this World Cup? Which Team will be 1st Runner Up and which will be 2nd Runner Up? Which Player, Bowler, Batsman, Wicket Keeper or All Rounder will show Extra Ordinary Performance? Or you can share anything you want about this Mega Cricket Event! Please write your comments, as these are very valuable for other readers of this blog! Please be polite while writing comments, thanks. i think performances from Younis/Misbah/Afridi/Shoaib will help Pak win this tournament. with a bit of luck in knock-out rounds we can do it again after 19 years. our only weakness is our fielding one must say. In their last match of the world cup 2011 Zimbabwe inflicted a heave defeat of 161 runs on Kenya. Pakistan will score 290-295 runs of 7 wickets! while, India will lose all of its wickets between 213-223! Inshallah My pridections are always right! Insha Allah Pakistan will win today's Semi Final from India and also win Final from Sri Lanka. It is also interesting that both matches will be played in the home grounds of the opponent teams. ahahahahaha... LOSERS!!! :P :P :P WOWWW... some people here were jumping to conclusions to early weren't they! India won the semifinals... 231!!!!!! What a downright pathetic score dude... in a semifinal match. And pakistan was showing off that our BRILLIANT tendulkar got only 85 runs, not his 100th century. LOLZ He was man of the match. One more thing... you pakistanis say, "Omar will get everyone out!" really? seriously? joking right? hehe :D yup. Omar allowed us 20 effortless runs by our AWESOME Indian players. SUCKERS!!!!!! !